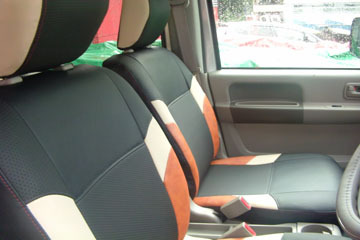 The interior styling draws parallel with that of the exterior – simple and fuss-free. The layout is extremely logical, the buttons and switches are exactly where you would expect them to be.An infotainment screen, three round dials that control the air conditioning, a steering wheel, and a speedometer dominate the dash. The Axio’s interior is as straightforward and simple to use as cars can get, no fancy touch sensitive air conditioning controls or accent trims on the dash, or even a tachometer! 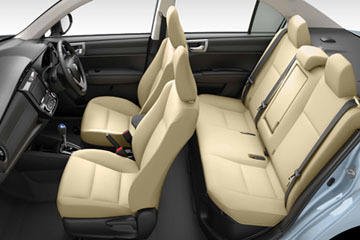 Atop the sensible layout and simple controls, the Corolla Axio also offers acres of space in its cabin. 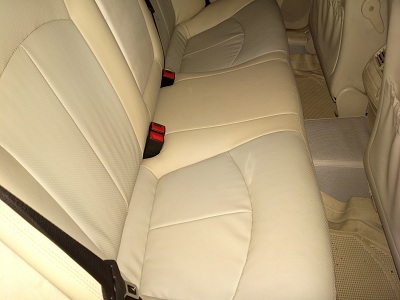 Despite its classification as a “small vehicle” to Japan’s authorities, it sure doesn’t feel like one inside.Legroom and headroom are fantastic, especially in the back. 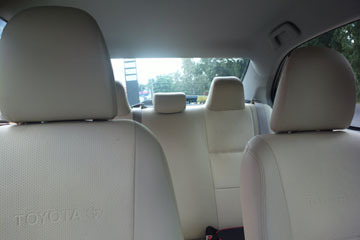 The rear bench seats three comfortably, and it’s the same in the front row too. The large glass area also translates into a light and airy cabin that seems to be comfortable for long journeys. 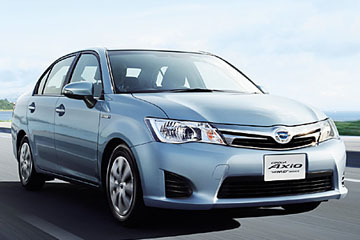 The existence of Toyota’s Corolla Axio is an interesting one. While the world gets a Corolla as we know it, Japan gets the vastly different Corolla Axio. Apparently, as the international model Corolla grew in size over the generations, Toyota Japan realised that for the Japanese market Corolla to be classified as “small size passenger vehicles” (to avoid heavy additional purchase taxes), they had to manufacture a Japanese market-only model that fell within the dimensions. As a result, the Corolla Axio was born. While the latest generation Corolla grown in size, the new Axio appears to not have gained a few extra inches at the edge thanks Toyota abiding to the regulations, which spells out that small passenger cars should not be larger than 4.7m long, 1.7m wide, and 2m high.The facelifted Corolla Axio has just been launched this year, and it is perhaps one of Toyota’s most conservatively styled models. Unlike the latest Corolla, which features a crisp lines and modern styling, the Axio has a more restrained and much simpler styling. The large grille and Toyota’s corporate nose gives the car an identity, one that is remarkably identifiable as a Toyota. The front lights are xenon units while the rear units are now LED. The refreshed car seems to be much better looking than its predecessor.